Leopart print cranium protection for your bike ride. 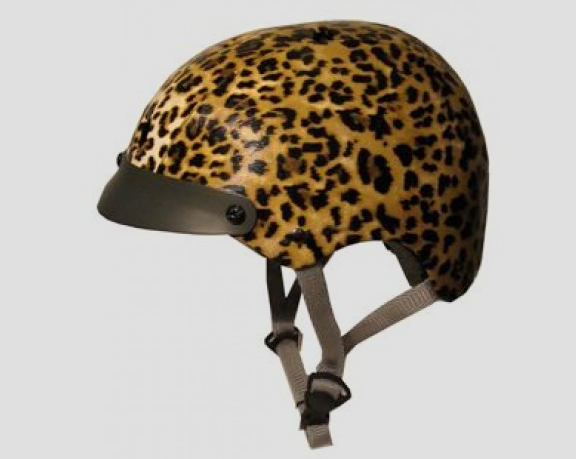 This leopard print leather Sawako Furuno bike helmet (£74.00) is made for stylish ladies fed up with masculine cycling gear. If this helmet makes you purr, act fast because it's a Limited Edition. Features include a shock absorbing liner, air vent holes to keep your head cool, and quick release buckles.